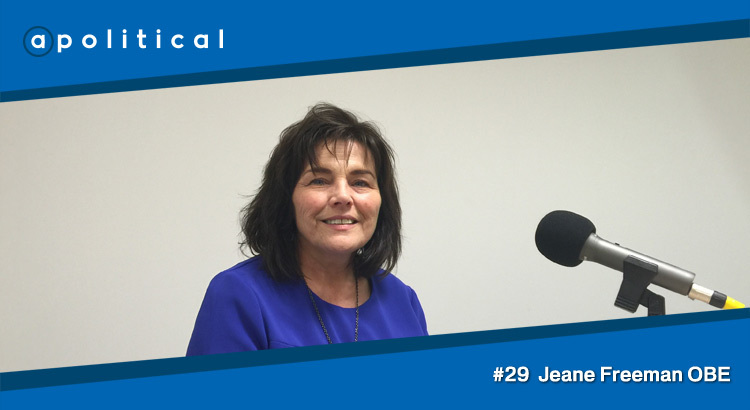 In Episode 29 of Apolitical we speak with Jeane Freeman OBE, a co-founder of Women for Independence and the SNP’s candidate for Carrick, Cumnock & Doon Valley in the 2016 Holyrood elections. We chat about her journey from the Labour party to the SNP; the potential impact of tax credits reform; TTIP; and the election campaign ahead. • Her hopes for the next session of the Scottish Parliament.